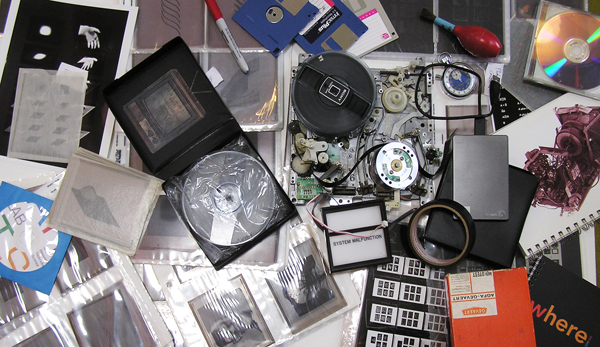 New (+ Old) Media: Restoration, Preservation, Archiving & Access, was held on June 25-27, in Santa Fe New Mexico. The program consisted of a two day invitational Working Meeting, a Public Symposium and a Screening of selected early video/media art works, as a special program of the June 12-28, 2015 CURRENTS: Santa Fe International New Media Festival. New (+ Old) Media: Restoration, Preservation, Archiving & Access, organized and hosted by 1st-Mile Institute’s SARC (Scientists/Artists Research Collaborations) Program, brought together a diverse group of media curators, archivists, educators, conservators, technical experts, collectors, funders, artists and scientists at the forefront of efforts to address critical and timely issues regarding the ongoing life, technical processes, value and access to media art works, code, unique systems, metadata, creative intentions and our ever-emergent cultural heritage.